Facebook is introducing a new section called Memories, which consolidates the shared moments of users. Though this may seem similar to Facebook’s existing On This Day feature, that’s just one section of Facebook Memories. This new hub will also include Friends Made On This Day, Recaps of Memories, and Memories That You May Have Missed. 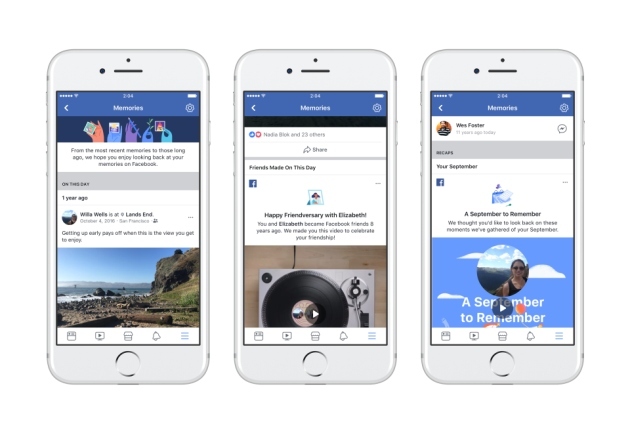 This means more short videos and special collages showing off your history with your Facebook friends. Facebook notes that it realizes that not all memories are positive. The company is working to provide controls for users so that painful memories aren’t dredged up. For example, when an individual ends a relationship with another individual, Facebook will ask prompting questions, such as “Would you like to take a break from this person?” The company will use replies to those answers to tune Memories to more positive events. Memories can be accessed in the “More” tab on mobile and to the left of the news feed on computers.